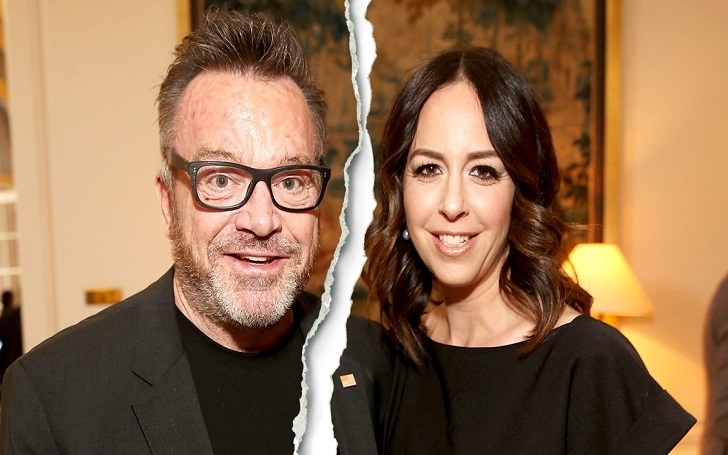 Tom Arnold and Ashley Groussman have split! The Hit and Run star has ended his relationship with his wife after nearly 10 years of marriage. The actor, 59, who appeared alongside Arnold Schwarzenegger in True Lies, confirmed the break up to Us Weekly while promoting his upcoming film, Dead Ant. He added," I have many good years. I have my children because my wife". The estranged couple, who became married in November 2009 in Maui County, Hawaii, shares two children a son, Jax Copeland Arnold (Born in April 2013) and a daughter, Quinn Sophie Arnold (Born in December 2015). For the last couple years, couple three years, it’s been very unusual in the house. But my kids and I have a whole life, a wonderful life. I’ve been telling my wife, ‘It’s OK. Just do whatever you gotta do.’ So, she moved out. Tom was previously married to actress Roseanne Barr; the former couple tied the knot in 1990 and got a divorce in 1994. He was also previously in a marital relationship with Julie Armstrong (1995-1999) and Shelby Roos (2002-2008).